A hand tied or a vase presentation (optional) of this lovely bouquet of Red roses, carnations along with white Asiatic lilies and chrysanthemums. 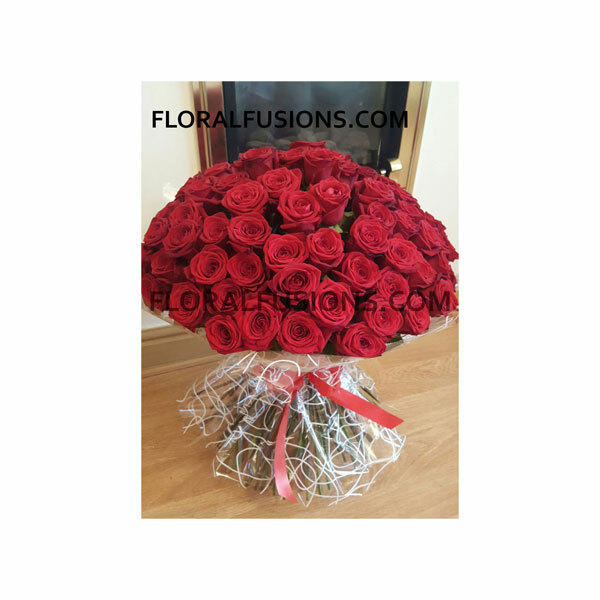 Vase not included however you may choose a Vase from our collection or the bouquet can be presented in one of our gift boxes. A Bouquet of mixed red and white Roses accented with Queen Anne's lace and adorned with a red satin ribbon either can be hand tied or delivered in a vase (optional) Vase not included however you may choose a Vase from our collection or the bouquet can be presented in one of our gift boxes.